Maxine Smith's pioneering spirit and belief in the value of education will be evident in what we do at MSSA as we establish the first school of its kind in the nation with a focus on greenSTEAM education. Pioneer and Civil Rights Activist. Maxine A. Smith was a pioneer and Civil rights activist, executive secretary, and state government employee from Memphis, Tennessee. She graduated from Booker T. Washington High School and went on to receive her B.A. degree in biology from Spelman College and her M.S. degree in French from Middlebury College. Having helped to organize the desegregation of Memphis public schools in 1960, Smith also escorted the first thirteen Memphis children to benefit from the Memphis school desegregation. Smith served on the coordinating committee for the 1968 Memphis sanitation workers’ strike that Martin Luther King Jr. traveled to Memphis to support before his assassination. In 1971, Smith won election to the Memphis Board of Education, a position which she held until her retirement in 1995. Smith received more than 160 awards for her efforts on behalf of educational equality and civil rights, including the National NAACP Leadership Award, the Bill of Rights Award from the American Civil Liberties Union, and the Whitney H. Young Jr. Award from the National Education Association. 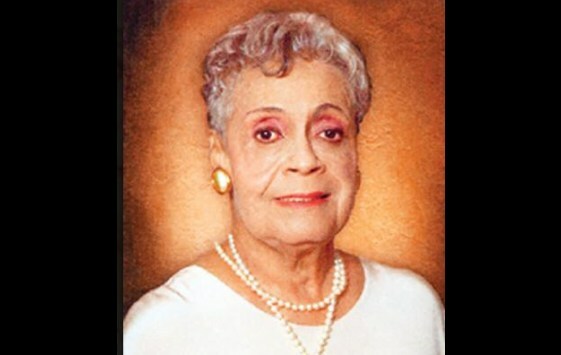 She was a member of the board of directors for many charitable and civic organizations, including The National Civil Rights Museum, the NAACP, the Women’s Foundation for Greater Memphis, and the National Kidney Foundation. Smith has also been featured in several documentaries about the Civil Rights Movement, including Oscar-nominated Witness From the Balcony of Room 306 and Memphis: The Promised Land . She passed away on April 26, 2013.